How clean are your pool steps? If you have taken on the role of “pool service pro” at your house we’d like to know, “how clean are your pool steps?” Cleaning the pool steps — the actual step and behind and around them — can help prevent algae growth and it is a talk that a pool service professional from Imperial Pools in Champaign, Illinois, they will tell you it’s an important part of pool maintenance. The water in the swimming pool covers the steps all the time and algae spores are sly and will hide behind the steps and begin to grow if not properly cleaned away (by brushing them loose and vacuuming them up) and could cause algae bloom in your pool. 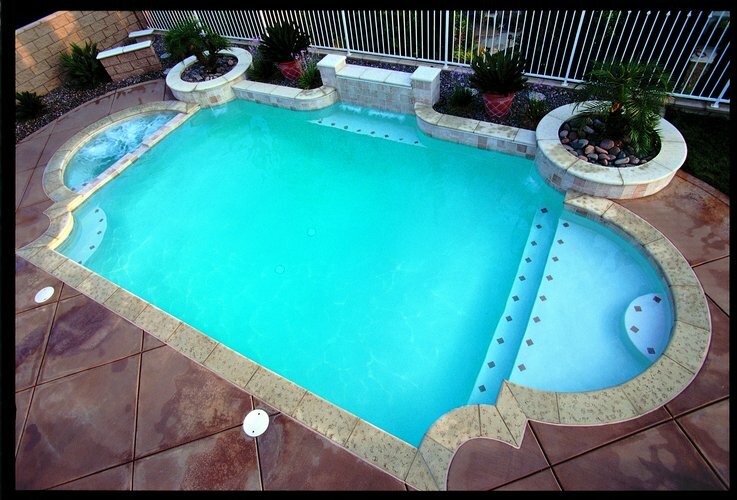 If it’s been a while since they’ve been cleaned thoroughly your pool contractor may recommend lowering the pool water levels so the steps can be thoroughly scrubbed. He will brush them to remove dirt, algae and other materials that may have taken hold and could be growing in the crevices or around the bolts — depending on the type of steps your pool has. He will apply a pool cleaner to the steps. The cleaner will deep clean to remove anything that wasn’t dislodged during the brushing process. Everything will be vacuumed up and the pool will need to be refilled. If you have a robotic cleaner this will help give a light cleaning regularly to the pool steps, but you will still need to use some elbow grease to truly clean the steps as thoroughly as they need it. If you don’t remember the last time you’ve cleaned the pool steps or if you have never cleaned them, it’s time to call a swimming pool service pro to do it for you or you will need to commit to cleaning them on your own. If you’re thinking of closing the pool soon, now would be the ideal time to clean them. If you need assistance, give us a call. We can help!